Change is pretty much the only constant in the world of recruiting these days. The applicant pools shift, the technology that shapes your hiring is upgraded or becomes obsolete, and the pace gets faster and faster to keep up with a digital-forward world. 2018 was no different. You likely experienced a variety of challenges: hiring for a large number of job openings, using various complex tools that aren't integrated, and reporting on hiring data in a seamless and digestible way. In response to these challenges, there was a massive wave of new recruitment innovations such as artificial intelligence, programmatic recruitment, and machine learning. To that end, this year is all about building off of the technological innovations of 2018 and years past. Let’s look at some of the biggest recruitment challenges that you will face this year and how you can prepare for them. 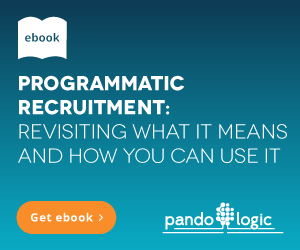 The rise of artificial intelligence, machine learning, and programmatic recruitment might make you feel as if your job is on the line, but that couldn't be further from the truth. As more companies begin to utilize AI, they will start to discover the limitations. We are learning that these technologies are imperfect and require a human hand to steer them in the right direction. After all, what is AI besides a series of programmed algorithms? Sure, you might argue that the entire purpose of AI is to complete tasks more efficiently than a human, but so long as AI requires supervision and maintenance, there will always be a human hand needed to fulfill that need. At the very least, you will not have to worry about AI and automation replacing your job in your lifetime. That being said, if you're still nervous, your best bet is to keep up with the latest HR tech trends so that you stay knowledgable and competent in your role. Last year, we talked about how vital recruitment marketing is in obtaining top quality candidates. This year, yep, you guessed it: more of the same. In fact, even more so. The days of the job market favoring employers are long gone. It is indeed a job seekers market. As such, employers need to bust out all the stops, to get the attention of top talent. It's no different than developing a reliable consumer brand. Except, in this instance, you want to establish an attractive employer brand. Here is an example of some strategies you can take to implement this effectively. With the intense focus on data and analytics in recruiting and hiring, the sheer amount of data crunching can feel overwhelming. Software and apps can help wrangle all of that information, but once you have the data in hand, you still have to convert it into real-world results. Focus your energy on the metrics and information that your organization actually needs. The most common KPIs (Key Performance Indicators) and metrics that factor into recruitment and hiring are time-to-hire, cost-per-hire, candidate engagement, employer ratings, and candidate source effectiveness. All of this information can help you streamline your processes and make better choices about candidates, job advertising, and social media outreach, but it’s important to understand what it is that your organization needs the most. Start by engaging key stakeholders in your organization to see what metrics are the most valued (or which need the most improvement), so you can target your strategy and resources. It’s about using analytics to build your recruitment—not necessarily about analyzing every bit of information that comes through the gates. Social media and the growth of review sites have become double-edged swords for organizations. This transparency between companies and customers, or companies and employees, can help everyone make more informed decisions. But it also means that you have to be hypervigilant about what your employer brand is out in the marketplace. Today’s disgruntled ex-employee could be tomorrow’s viral news. Monitoring sites like Glassdoor can help you find out your organization’s baseline reputation as an employer. From there (good or bad), you can either do damage control or make sure you’re broadcasting the qualities that make you a unique employer—or one with a good reputation. 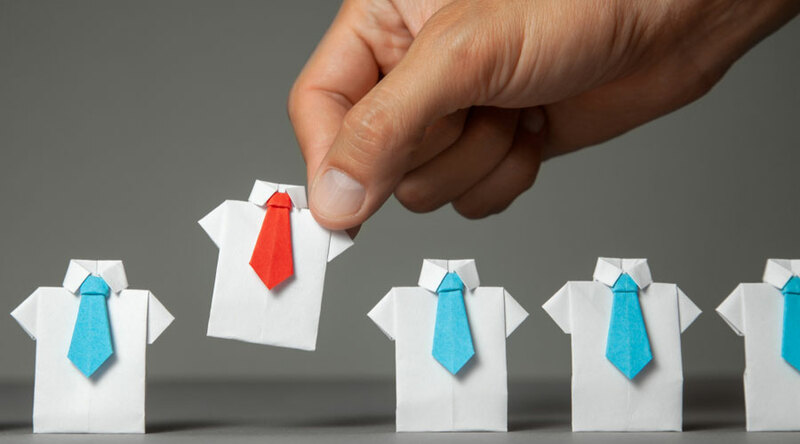 Refining your branding in job descriptions and other candidate-facing resources can help you differentiate yourself from other organizations in your field and boost your recruiting. With the focus on previous performance and historical data, it can be difficult to recruit for the present and look toward the future at the same time. That means innovation has to start at the recruiting level—but how? The first step is actually managing your employer brand. Are you presenting yourself as the solid, dependable workhorse through the years? Or are you showing that you have an eye toward the future, with its technology and inevitable change? Your messaging is the best way to make sure you’re recruiting for change, not necessarily the status quo. In fall 2018, the unemployment rate was at approximately 3.7%—the lowest number since 1969. Still, economic uncertainty abounds, with experts unsure of where 2018’s tariffs and divided political landscape will lead the U.S. economy. In 2019, companies are likely to try to insulate themselves as much as possible from impending changes. That means not only potential belt-tightening or pauses when it comes to hiring, but also increasing efficiency and ROI when it comes to recruiting and hiring. And this is where those data analytics can really come into play. Lowering cost-per-hire is likely to be the hot metric for just about every organization, so having the data at hand to target advertising spends and cut out unproductive candidate sources is the wave of the future. Analytics can also provide concrete evidence to support expanding some recruitment channels or scaling back others when the Powers That Be are creating strategy or budget based on results. Having real-time analytics can help make effective decisions and get buy-in, even when things are being scaled down or scrutinized more heavily. Whatever individual challenges your own organization faces, the best thing you can do for yourself and your team is becoming more agile and flexible. Whether that’s by using data to make smarter decisions or refining your branding, the best way to meet these challenges is by shaking off the status quo and being ready to adapt.